Downtown Cleveland, Ohio. Best Cities, Areas and Neighborhoods in Northeast, Ohio. What are the best cities and neighborhoods to live in? As a Realtor in the Cleveland, Ohio area since 2002, I’ve worked with many different home buyers and those relocating to the area. I’ve sold homes in almost every city and county of Northeast, Ohio. There are SO many great neighborhoods and cities to choose from. Many cities have excellent rated schools, specific home styles, lot sizes, amenities, etc. When moving to the Cleveland area, you have a lot of choices. Some buyers are partial to the east side, west side or southern suburbs. More than ever, people are moving back to Downtown Cleveland and surrounding neighborhoods. Based on what my buyers ask for and request, here are some of the most popular neighborhoods to live in in Northeast, Ohio. Lakewood, Ohio – Top City To live In. Picked by Home Buyers. Lakewood, Ohio – Nestled just west of the Cleveland line, Lakewood is a smaller city that has a large population and tons of perks. Great parks, public services, schools, libraries, unique eateries, shops, nightlife and more. Lakewood usually tops the list of those buying their first home, relocating or even making a second move. Renters also flock to this area due to Lakewood having many multi-family homes and condos/apartments on the Gold Coast (Right on Lake Erie). The standard home style in Lakewood is the classic colonial. Most homes are built prior to 1940 with a few newer town home additions. 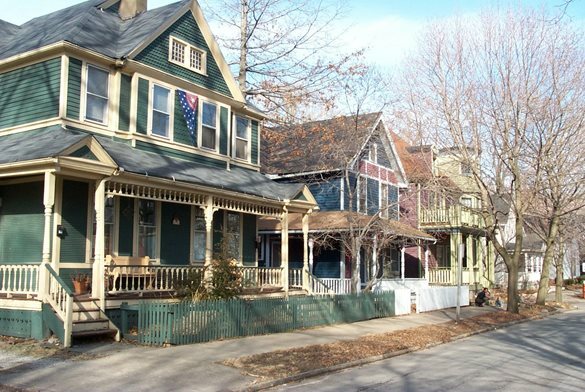 You’ll find many homes still have loads of character, charm and original woodwork. What can you expect to spend on a home in Lakewood? Homes come in all price ranges. There’s a home in Lakewood for almost every budget from a bungalow/colonial starting in the low $100k range all the way up to a million dollars on the lake. Rents are generally $500-$1,000. Similarly considered areas: Fairview Park, West Park and Rocky River. Cleveland Heights, Ohio. Top City To Live in Picked By Home Buyers. 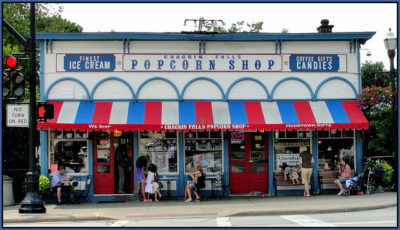 Cleveland Heights, Ohio – Historic beauty lines this city. So many classic, older homes with unique touches. Somewhat similar to Lakewood in charm, character and original features. 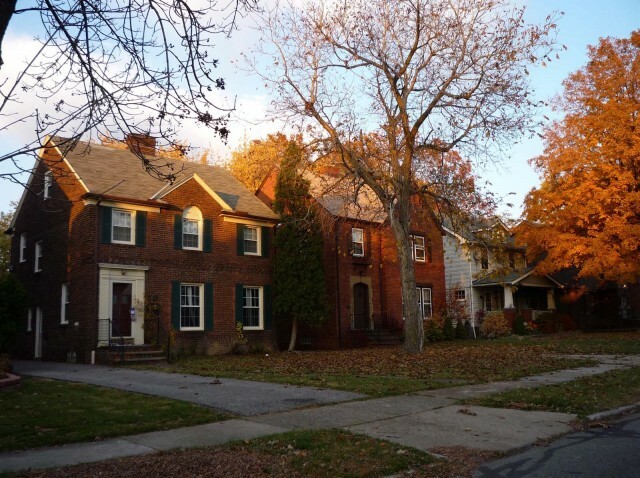 The Colonial style home is the most popular in Cleveland Heights. There are several private schools within the city. 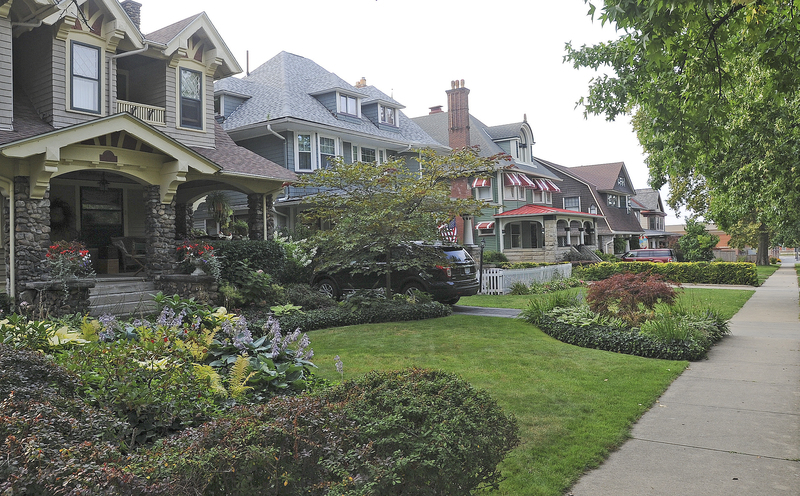 Tree lined streets, great parks, ample nearby shopping and dining along with being close to Cleveland’s arts, medical community, museums and colleges, makes Cleveland Heights a desirable choice for home buyers. There are homes in all price ranges. Many have original features or have been beautifully updated. You can expect to find a home in almost every budget. The median rental amount is $1,100. Similarly considered neighborhoods: Shaker Heights, Beachwood, University Heights Richmond Heights, South Euclid. Ohio City, Tremont, Detroit Shoreway, Edgewater, West Park. Top Areas To Live In Picked By Home Buyers. Tremont, Detroit Shoreway, Ohio City, West Park– These are neighborhoods within the city of Cleveland. 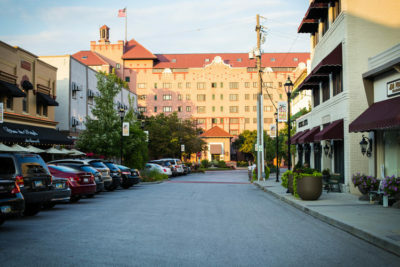 Neighborhoods like Tremont, Detroit Shoreway and Ohio City have seen a resurgence and revitalization over the last decade. New construction coupled with rehabbed, historical homes combine to offer housing for every buyer type. Home prices have gone up in these neighborhoods along with the amount new businesses. It’s not uncommon to walk or bike to your destination. The neighborhood of West Park is the furthest neighborhood in Cleveland to the west. With great private schools options and being in a convenient location to the airport and highways, West Park stands out. There are all types of homes in this neighborhood. Bungalows, ranch style homes and colonials. Homes generally sell anywhere from $100k all the way up to $300k. Similarly considered areas: Coventry, Murray Hill, Lakewood, Edgewater Park, University Circle, Downtown Cleveland. Rocky River, Ohio. Top City To Live in Picked By Home Buyers. Rocky River, Ohio – Western suburb of Cleveland with small town charm and excellent rated schools. Plenty of choices for shopping and dining. Desirable location to surrounding cities including Downtown Cleveland and a low crime rate. Housing in Rocky River is very diverse. You can expect to find every home style, size and almost every price range. Older homes and newer built homes are mixed in this city. Plenty of maintenance-free condo choices. You can expect to pay $150k-$1.5M for a home in Rocky River. Rentals will vary with condos to single-family homes. Similarly considered cities: Westlake, Bay Village and Avon Lake. Chagrin Falls, Ohio. Top City To Live in Picked By Home Buyers. Chagrin Falls, Ohio – East of Cleveland, Chagrin Falls is a quaint city with top ranked schools. 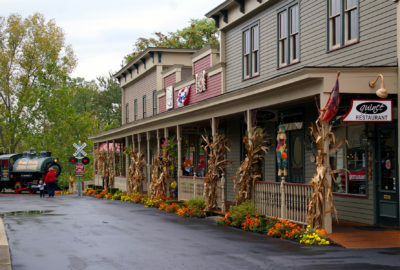 Walk-able town square with a large waterfall, classic shops and well-preserved 19th-century homes. If you’re looking for old-town New England, you’ve come to the right place. Think: Norman Rockwell and Thomas Kinkade. There are a variety of home styles to choose from. There are mid-century ranches, bungalows and century homes in Chagrin Falls. Price ranges will typically be on the high side for the area. The average home will be somewhere near the $350k range but can go to the low $100ks and all the way up to $1M. Some newer condo choices are available. Similarly considered areas are: Hudson, Solon, and Brecksville. Independence, Ohio. Best City To Live In Picked By Home Buyers. Independence, Ohio – A southern suburb of Cleveland with excellent rated schools. Homes here are unique. Each one will likely offer something different. Homes vary in age and you’ll find many previously built, mid-century custom homes with interesting layouts and floor plans. Lots can be large with streams, woods and ravines. Low crime rate and great city amenities and services. Median selling price is around $300k. Home prices range from the low $100ks all the way up to $1M. Similarly considered cities are: Seven Hills, Parma, Parma Heights, Broadview Heights, North Royalton, Brecksville, Valley View. Olmsted Falls, Ohio. A Best City Top Pick By Home Buyers. Those are just a few of the best cities in Northeast, Ohio that are considered desirable by many home buyers. There are so many additional, great cities and areas to choose from. Choosing a neighborhood to live in is just one step in buying a home. If you’d like to discuss cities, home styles, prices or to talk about the home buying or selling process, contact me anytime. I’m happy to help explain and break things down for you. I look forward to assisting you with your next move!